the tour was AWESOME! The Scenery was fantastic and the food is mouthwatering. thank you to Tom our friendly tour guide for providing us the brief but knowledgeable info. highly recommended! Get US$3.1 back in Klook credits for your next trip when you book this activity! Complete this Klook activity to get 5% of the activity cost back in free credits to use on your next booking. For example, book US$62.05 to get US$3.1 free credits. Get out of bustling Bangkok and visit the sleepy town of Kanchanaburi! Satisfy your curiosity with a dose of culture as you explore the historical landmark. 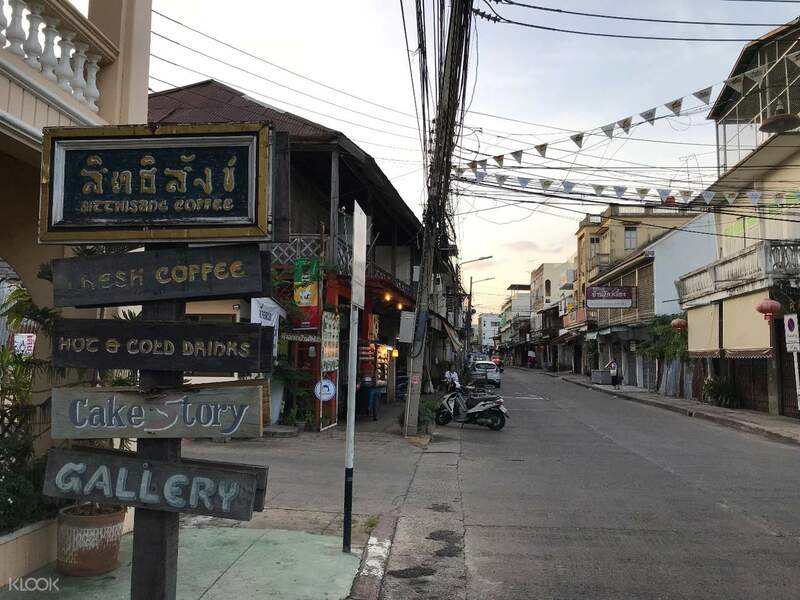 On this full day tour, witness the beat-up old streets symbolic to Kanchanaburi's tragedies and triumphs during World War II under the imperial rule of the Japanese. Begin the day early as you meet with your English or Chinese speaking guide at the Siam Paragon Mall. 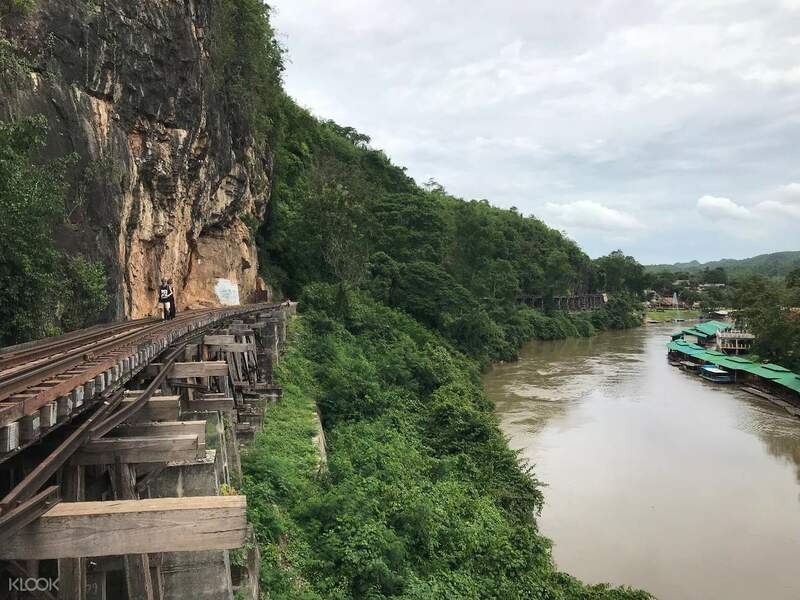 Just before noon, you will get to enjoy a sumptious local-style lunch before moving on towards the infamous Death Railway for scenic views of the River Kwai. Revisit your history lessons as you step on ground once more at the Ancient City Wall, where you'll find mini Angkor Wat monuments surrounding the park. 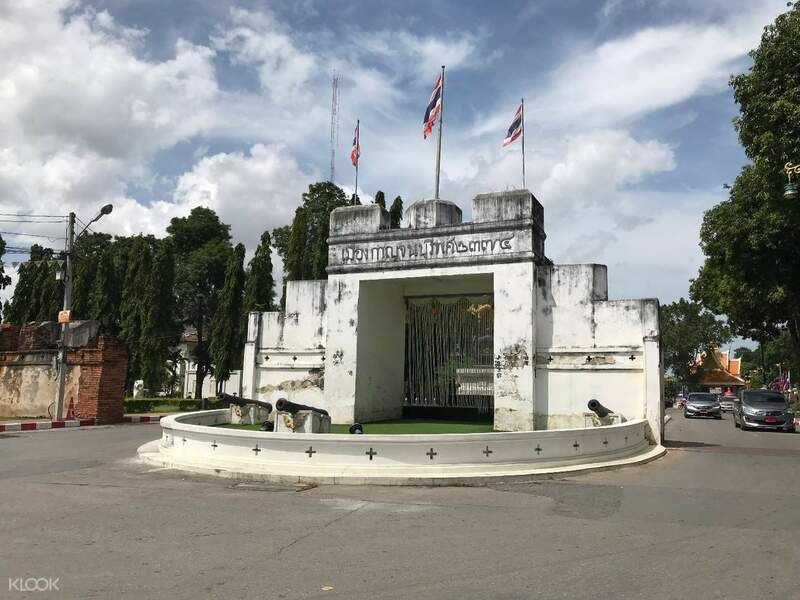 Stroll around at the Historic Old Street––one of the last ancient pieces within Kanchanaburi––popular for its night markets and allied cemeteries. Dig deeper into Thailand's war chronicles as you recount the unfortunate events on a boat ride on River Kwai. End the tour with a relaxing walk on the River Kwai Bridge. Return to Bangkok filled with memories and new lessons from this insightful tour. Complete with guide and a round trip transfer service, Kanchanaburi is worth every mile traveled as you fall for its mythical charm. Take a relaxing walk along Historic Street and stop by one of the restaurants for a quick grub! The tour was worth the money. The death railway on the river kwai was interesting. The train ride & boat ride was fun. Our tour guide Mr Song was very friendly & gave a lot of info about the places that we went. Good tour for history lovers. The tour was worth the money. The death railway on the river kwai was interesting. The train ride & boat ride was fun. Our tour guide Mr Song was very friendly & gave a lot of info about the places that we went. Good tour for history lovers. This tour was worth every penny we paid for! The tour guide was friendly and helpful. He helped us to take a lot of wonderful pictures too. The van was clean and comfortable.. The only downside was the aircond wasn't cold enough as it was a super hot day. The train ride, boat ride and walking on the death railway was an experience of a lifetime. Wonderful views everywhere. Highly recommended! This tour was worth every penny we paid for! The tour guide was friendly and helpful. He helped us to take a lot of wonderful pictures too. The van was clean and comfortable.. The only downside was the aircond wasn't cold enough as it was a super hot day. The train ride, boat ride and walking on the death railway was an experience of a lifetime. Wonderful views everywhere. Highly recommended! To me, the price of this tour is on the high side. But I haven't looked up other prices to compare. Tour took off on time. English speaking guide is average but most of the tour don't really need explaining. Lunch buffet was great and they honored our dietary requirements. We did a lot of activities during this tour so I say go ahead and book one for you trip. 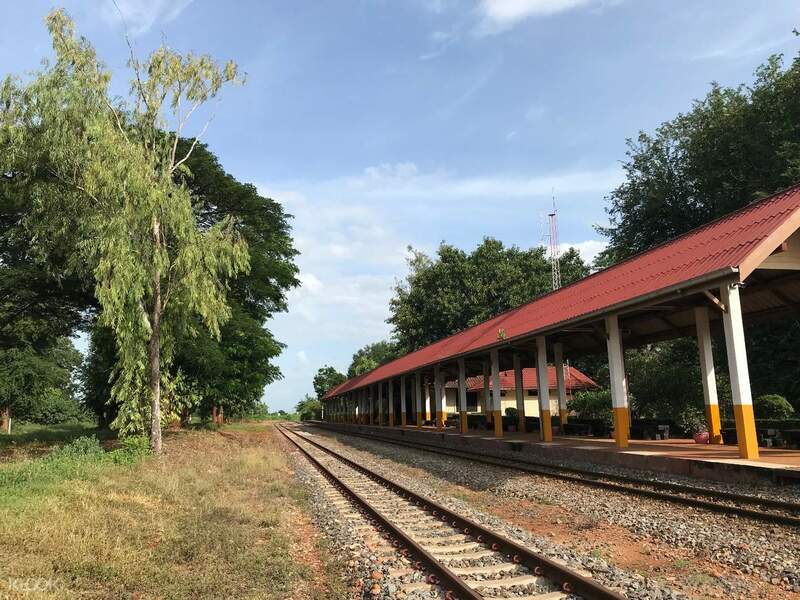 The railways and Kanchanaburi's history is amazing. The boat ride with sweet snacks was memorable too. Take note, they will ask a mandatory tip for the driver. To me, the price of this tour is on the high side. But I haven't looked up other prices to compare. Tour took off on time. English speaking guide is average but most of the tour don't really need explaining. Lunch buffet was great and they honored our dietary requirements. We did a lot of activities during this tour so I say go ahead and book one for you trip. The railways and Kanchanaburi's history is amazing. The boat ride with sweet snacks was memorable too. Take note, they will ask a mandatory tip for the driver. Wonderful experience and hospitality from the tour guides. At the meeting point, you are briefed about the trip and the itinerary of the day. It initially takes 2.5 hours from the start in the minivan to the restaurant for lunch, then we move on to the Death Railway afterwards. Taking the Death Railway is definitely worth the experience alone and the beauty of the surroundings just takes your breath away. Once you get off, you are taken on a tour of the first concrete made street in Kanchanaburi with a wonderful local guide then straight afterwards, you get on a boat going along the Mekong River all the way to the bridge on the River Kwai, where again is worth going. From here, it is back to Bangkok and then farewell to Kanchanaburi. Wonderful experience and hospitality from the tour guides. At the meeting point, you are briefed about the trip and the itinerary of the day. It initially takes 2.5 hours from the start in the minivan to the restaurant for lunch, then we move on to the Death Railway afterwards. Taking the Death Railway is definitely worth the experience alone and the beauty of the surroundings just takes your breath away. 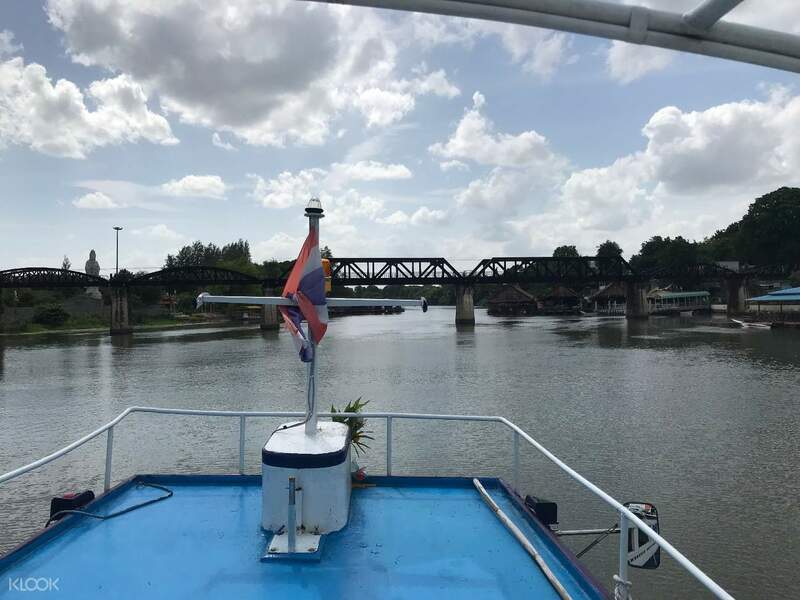 Once you get off, you are taken on a tour of the first concrete made street in Kanchanaburi with a wonderful local guide then straight afterwards, you get on a boat going along the Mekong River all the way to the bridge on the River Kwai, where again is worth going. From here, it is back to Bangkok and then farewell to Kanchanaburi. The tour is quite gd. The lunch is quite ok. Lunch wif a view in an air-conditioned setting. I am the only one who requested for English tour guide so it felt like I hired 2 personal guides bringing me ard and also very enthusiastic in taking pics for me. Thankful for them [ὤf][Ἷb] Explained in detail to me abt the history whenever we stopped at a place. Enjoyed the tour tho it’s really hot and sunny. The tour is quite gd. The lunch is quite ok. Lunch wif a view in an air-conditioned setting. I am the only one who requested for English tour guide so it felt like I hired 2 personal guides bringing me ard and also very enthusiastic in taking pics for me. Thankful for them 🙏🏻 Explained in detail to me abt the history whenever we stopped at a place. Enjoyed the tour tho it’s really hot and sunny. the tour was AWESOME! The Scenery was fantastic and the food is mouthwatering. thank you to Tom our friendly tour guide for providing us the brief but knowledgeable info. highly recommended! the tour was AWESOME! The Scenery was fantastic and the food is mouthwatering. thank you to Tom our friendly tour guide for providing us the brief but knowledgeable info. highly recommended! My 2nd tour with Klook and I am very happy about it. The itinerary is just right for 1 day, not too packed. I love our tour guide Mr. Song, he is very hospitable, kind and informative. My 2nd tour with Klook and I am very happy about it. The itinerary is just right for 1 day, not too packed. I love our tour guide Mr. Song, he is very hospitable, kind and informative. We had 2 tour guides, one English and one Chinese speaking for our tour with only 4 pax. It felt very personalized and they were both very detailed in explaining the whole trip. Food was plenty during lunch but the taste is not really to my liking. Weather was really hot and thus we couldn’t really walk much under the scorching weather. We had 2 tour guides, one English and one Chinese speaking for our tour with only 4 pax. It felt very personalized and they were both very detailed in explaining the whole trip. Food was plenty during lunch but the taste is not really to my liking. Weather was really hot and thus we couldn’t really walk much under the scorching weather.